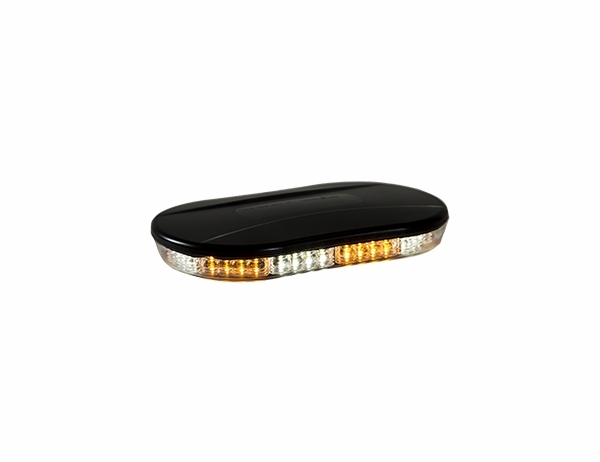 Oval Amber/Clear LED Mini Lightbar, 12-24V, Buyers 8891082. 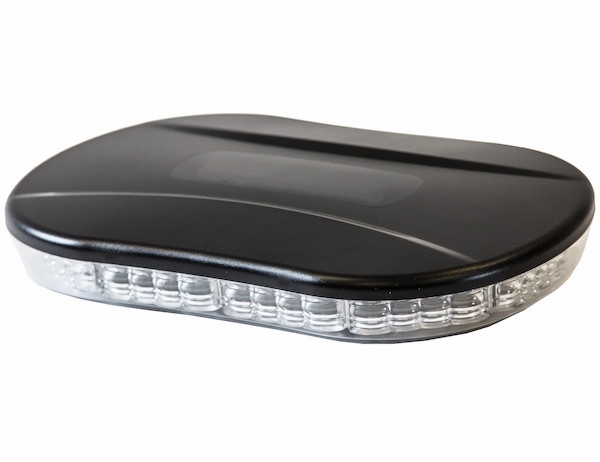 - Features 20 adjustable flash patterns. 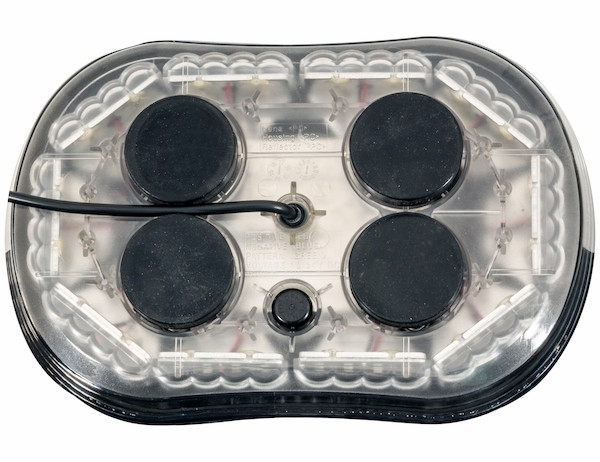 Buyers Products 10 Inch Oval LED Mini Light Bar has 40 LEDs and includes a 15 ft power cord with accessory power plug, on/off switch, and momentary switch. 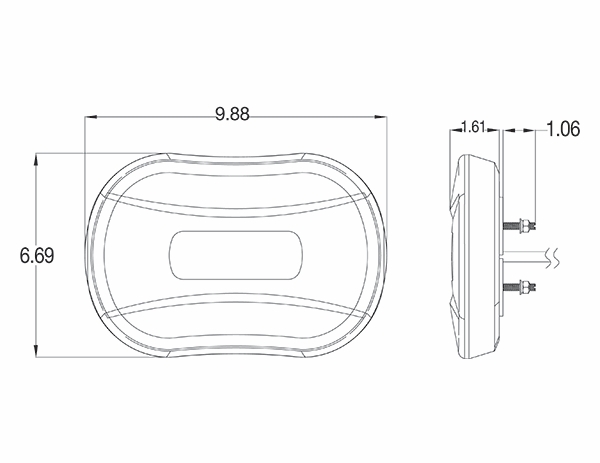 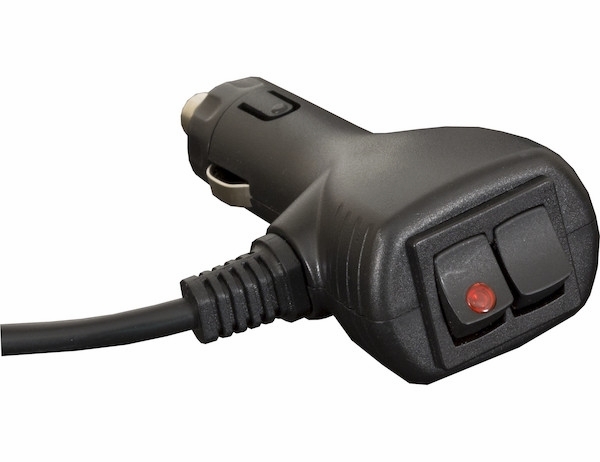 It mounts to your vehicle with heavy duty magnetic feet or with the included mounting studs.